We are keen to hear from anyone who would like to sell our beer. We remain a modestly sized business principally delivering within 30 miles of the city of Worcester.Within this area, we don’t ask for a minimum order, although small orders may need to wait until someone else in your area places an order. We hate to turn away customers, so if you are further afield and can place a good sized order please get in touch. 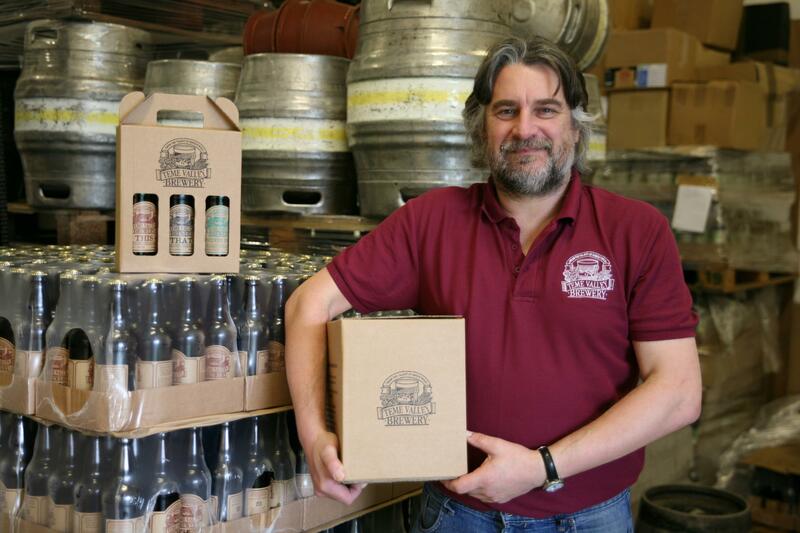 Trade prices are available from chris@temevalleybrewery.co.uk or 01886 821235 and 07792 394151. We have enjoyed exporting cask and bottle conditioned beers abroad in the past and are keen to hear from customers overseas. We are a relatively small brewery so orders of 1 or 2 pallets at a time are available immediately. Larger orders would need a longer lead time.